Instead of envying your friends’ vacation pictures on your social media feed during the weekends, get your own perfect weekend on a cruise! 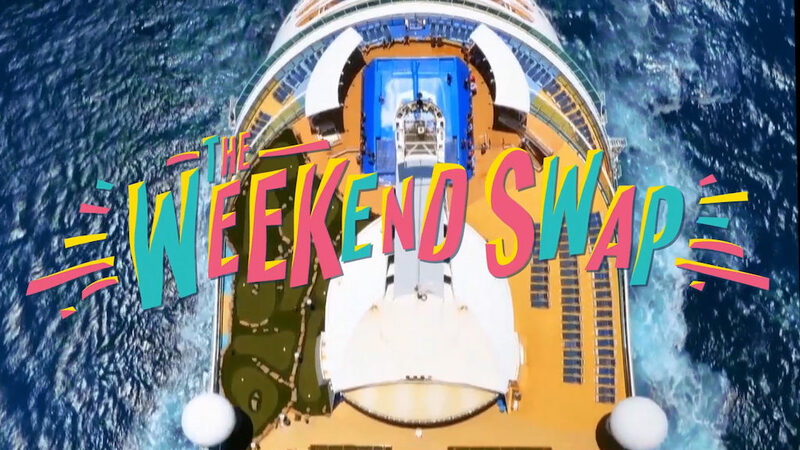 Royal Caribbean International is giving Singaporeans an opportunity to swap their regular schedule with an exciting cruise adventure, in its latest marketing campaign ‘The Weekend Swap’. From exciting, unique attractions such as the FlowRider surf simulator, ice skating rink and rock-climbing wall to partying and shopping along the Royal Promenade, Singaporeans can live up their ideal weekend on this ship in every way possible. To attract and engage the millennials in its campaign, Royal Caribbean collaborated with home-grown musicians, Jon Chua of The Sam Willows and Vanessa Fernandez from Zendyll Records to produce an original song for the campaign called “Weekend Swap”, a catchy tune that invites listeners to sing along and change up their ordinary routine. To kickstart the ‘The Weekend Swap’ campaign, the song is released as a music video on Royal Caribbean’s Facebook page. From 21 March to 30 April 2019, Royal Caribbean will be giving out free cruises for two every week. Fans can participate in the contest by visiting the official website and submitting their entries on why they want to swap their typical weekend on shore for a Royal Caribbean cruise. In conjunction with the campaign, the public can also enjoy S$100 instant savings off selected staterooms on Voyager of the Seas’ sailings* and up to US$100 onboard credits with the promotional code ‘SWAPNOW’. Get ready to catch some waves and swap your weekend now! *Applicable for selected sailing dates from 30 April to 24 June 2019 only.